Crafty Nadz: Happy 40th Rob and Ray! Happy 40th Rob and Ray! Last week Rob and his good friend Ray turned 40 so we had a weekend away together. 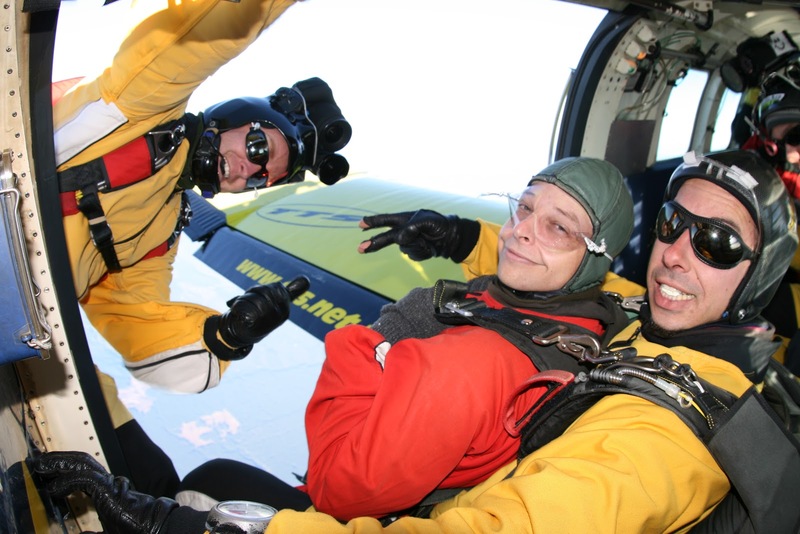 The boys have always been adrenaline junkies and in true Rob and Ray style they had to do something special. What better way to get an adrenaline rush than to jump out of a plane! With blue skies over Taupo it was a perfect day. Thanks to the guys at Taupo Tandem Skydive the boys had a ball! Ray and Rob get suited up. Rob had a grin from ear to ear all the way down. I held my breath until that shoot opened! Feet back on the ground. We all had a lovely walk along the banks of Lake Taupo. This is the card I made Rob. He has a wonderful marine fish tank which he enjoys so much I thought it would make a great theme for his card. I used masking tape and sponged the colour on in layers.